We arrived at Kennywood around 10am, surprised to see just how busy the park was already even before opening. The front gate area was swarming with groups, most of them appeared to be either bands or dance teams with some folks toting coolers as well. The park didn't open till 10:30am. Two quickly noticeable things is that Guest Services at Kennywood isn't open before the park opens, which I find a little bit odd. The second is the fact they don't want anyone near the turnstiles before the park opens, leading to rather rude "Kennywood Cops" yelling at several dozen guests. You'd think they could just hang ropes or something, rather then resorting to rude voiced yelling. Our first complaint happened shortly after entering the park. The rides don't open until 11am but this rather important information is not posted anyplace in the park, nor are any of the food stalls open until that point. Which leaves early guests with very few options other then bathrooms, getting in line for something or finding their picnic area. Normally, I wouldn't complain about this but since Parques Reunidos took over this has been a running issue with the park (times and information not being posted). We decided our first ride of the day would be Sky Rocket, which is the newest roller coaster Kennywood has added. 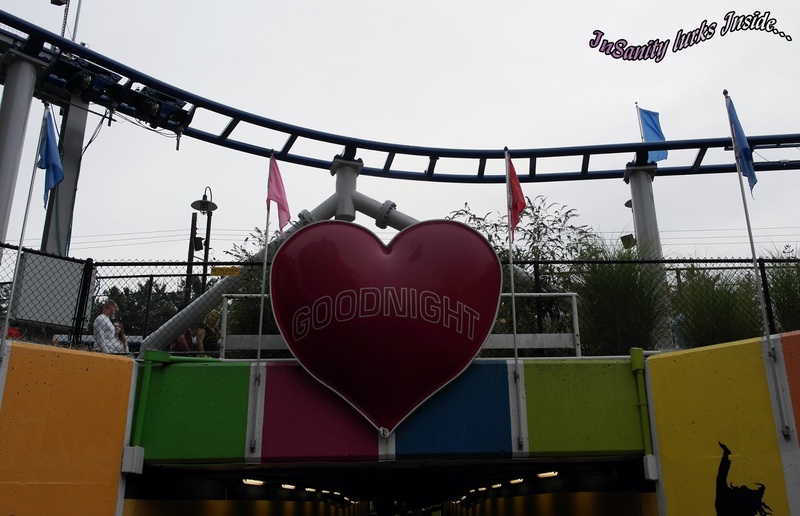 Built in 2010, it's a launch style coaster which was built in the location of the old "Turnpike" attraction.. It's pretty hard to miss since Sky Rocket is located at the front of the park, it's pretty much the first thing you see. Since this is the shortest we've ever seen the line, we jumped in. Sky Rocket is a good ride, it's just not that thrilling in my opinion. It's smooth, it's fun, it's quiet but it's not really exciting. We were rather surprised by how quiet it was, managing to continue our various conversation topics while riding. While fun, I still can't understand how this ride has a 1.5 hour line pretty much everytime we've seen it. At this point, we needed something to eat as we'd skipped breakfast in order to make better time to the park. Now, when at Kennywood there is one thing you have to eat every visit. You know what's coming right? Patch Fries. 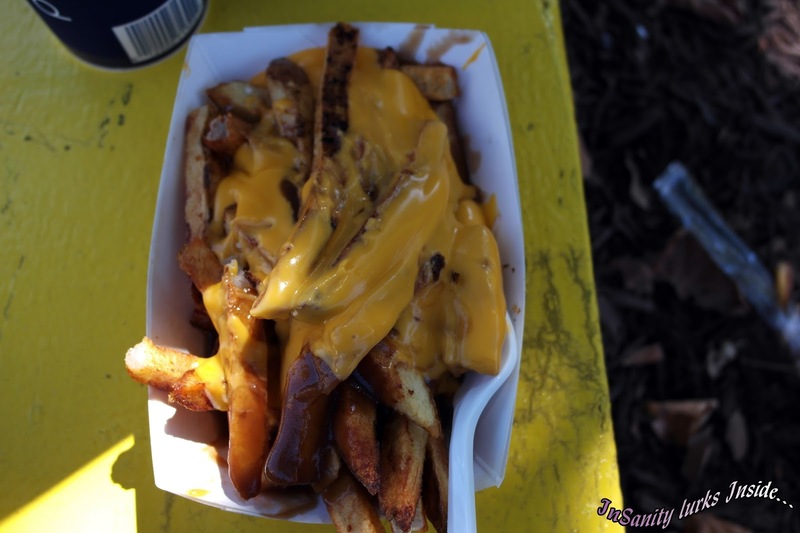 Patch Fries are a staple, found only at Kennywood Park and it's sister pack Idlewild. You can't go to Kennywood and NOT have Patch Fries, it's like a right of passage. As always, they were excellent. We always go for Gravy/Cheese on ours, that's just how we like it but others can put pretty much half a dozen options on the fries and the price is the same. The only time it's a slight up-charge is for bacon (and who doesn't love bacon?!). The picture just doesn't to the taste justice. Great, now I want more just thinking about them! Happily filled with Patch Fries, we headed stright towards Thunderbolt. It barely had a line, which brings up a problem I've noticed with Kennywood. People seem to forget the back of the park exists, they all get caught up right around the lake and barely seem to make it towards the area of Lost Kennywood. I don't know what that's all about but it left us basically walk on to Thunderbolt! 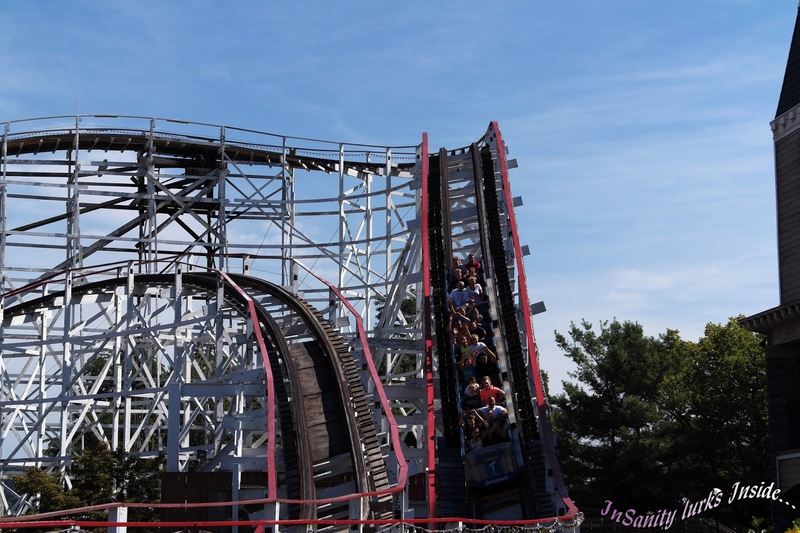 Built in 1924, Thunderbolt is the second oldest wooden coaster in the park. Making use of Kennywoods unique terrain, it's a wooden terrain coaster with a drop before the first lift hill (and it's a pretty serious drop too). Thunderbolt was running well and surprisingly smooth for it's age, Kennywood does know how to give love to their wooden coasters! 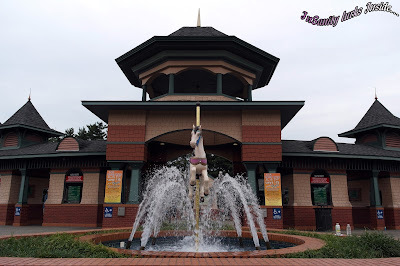 Now, one thing to understand about us and Kennywood: This is our 'Home' park. We've ridden everything here more times then we can count. So several rides won't be featured during this report. Why? Because we know exactly how long we're willing to wait for certain rides and there is just no way your getting any of us to wait more then 30 minutes for attractions like Exterminator. Up Next, we headed towards Noah's Ark. This is a classic 'Dark Ride" attraction built along the lines of the old fun-houses. Built in 1935, Kennywood's "Noah's Ark" is the last one of it's kind left in North America. It's a walk-through style attraction themed off the story of Noah. Inside you'll find animals in twos, shaking floors, moving stairs, spinning rooms and cheesy visual effects no longer found at most parks. It's a classic but this time around we found that the additional "submarine" ending broken yet again, to the point the entire 'exit show' is completely covered over in Plywood. Nor was this the only broken effect. Lights were dead, many of the animals were no longer moving and on the iconic swinging "Ark" we found an animal head missing. This was the first sign of distress at the park. 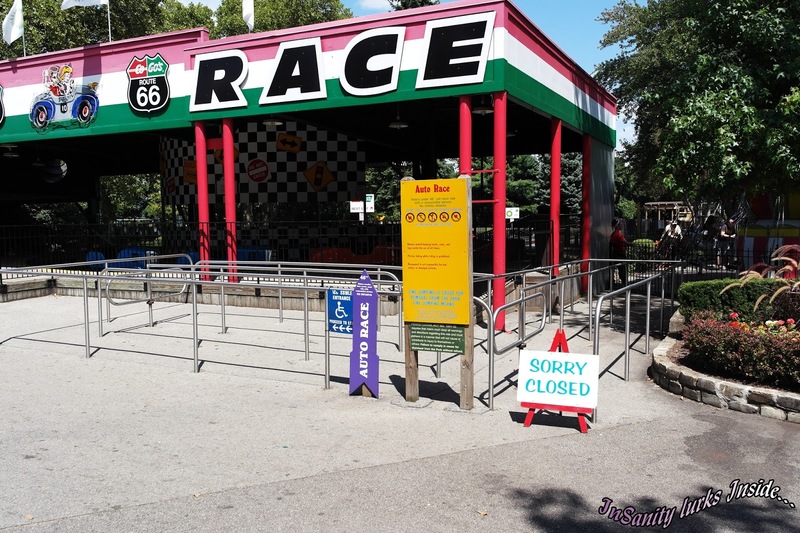 For months now we'd been hearing rumors that many of the flat rides at Kennywood were closed. Chalking it up to rumors, we put no stock in it. It just couldn't be true in our minds. Let me tell you, we all were alarmed when we finally saw things for ourselves. Many classic attractions just haven't operated this season and some are operating with almost none of their effects working. It's become pretty obvious that Parques Reunidos is funneling money out of the park to fund their rather extravagant European building spree from the amount of issues we started to see. The Auto Race was down and if rumor is right, has been down all season. This is distressing because it's the only style of this ride I personally know of. The Pirate (swinging ship) was also down as well as Cosmic Chaos. We learned just two weeks ago they managed to finally get the Enterprise working. 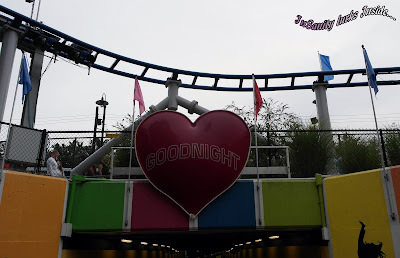 Hearing and Seeing things like this make me worry for the future of the classic rides found at Kennywood, more so for the ones with massive history behind them. The rides aren't the only sign. Small signs of neglect can be spotted all over the park. Seating areas not swept of leaves, signs of dirt and stains on the trash cans, peeling paint on many attractions, all these little things which would have been taken care of when the Kenny family owned the park. These signs have been seen for more then a year by us personally and I don't think I need to spell it out to you that I'm worried. Our next ride was Phantom's Revenge. Built originally in 1991 as Steel Phantom, it started life as an Arrow Looper. 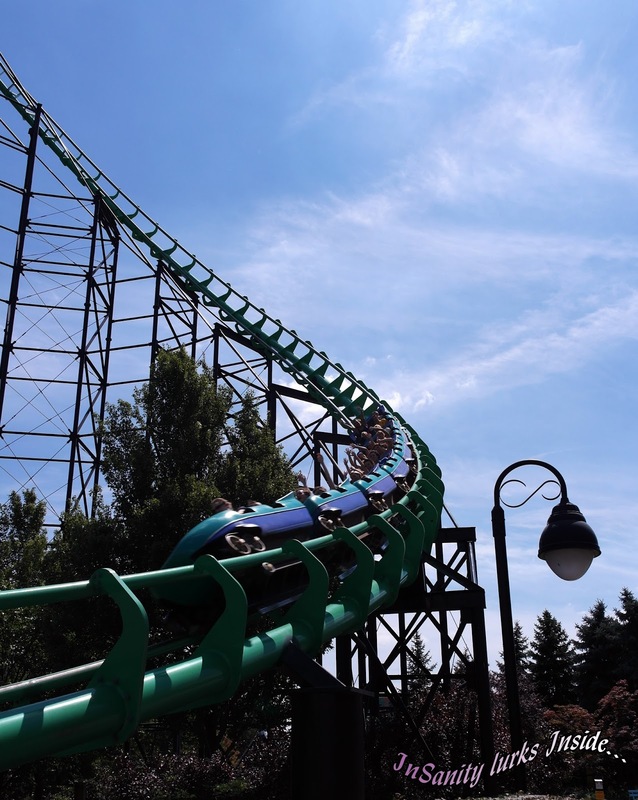 When it opened it was the fastest coaster in the world with the longest drop in the world, Phantom drops into a natural ravine giving it a second drop of 225 feet. 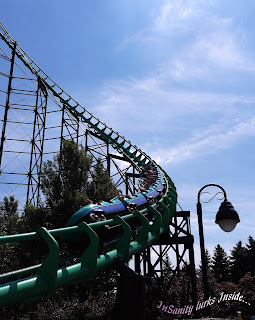 In 2000 Steel Phantom went under renovations by Morgan to remove it's four iconic loops and reopened in 2001 as "Phantoms Revenge" with a new paint job and a spine jaring jump into the break run. Today, the ride still runs pretty smooth with the exception of the jump into the final break run, which is happy to relocate your spine into your skull. 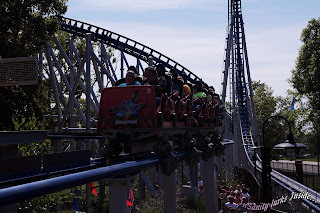 One annoying thing I noticed about phantom and the other coasters, was the addition of "ride photos" which they seemed to have stuffed in the most annoying places possible. Phantom's is right at the end, which in my mind seems silly (put that thing at the second drop). We kept circling the park at this point, Exterminator had a 45 minute line which none of us were willing to wait in, so we moved on. Stopping for a drink, we all were surprised to see that Black Widow (the parks newest ride) was running today. This has been plagued with issues since it was put into the park but I admit, the theming around it is rather nice. 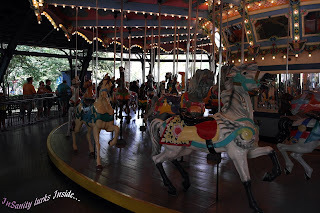 Since no visit to Kennywood Park is complete without it, we next road the Grand Carousel. Built in 1929, it's the parks third and largest carousel. 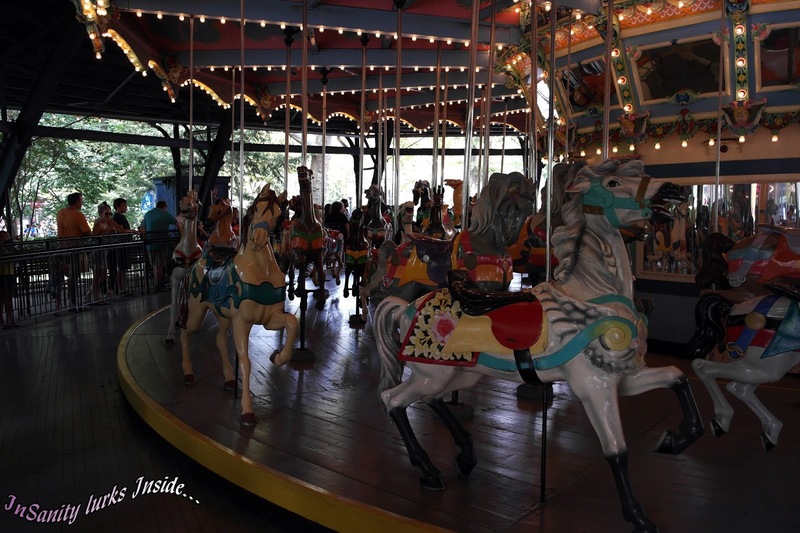 A historic landmark, Kennywood's carousel is famous for it's 'non-horse' animals like lions and tigers. A fun bit of history abut the Grand Carousel is it's Organ. Music is provided by a 1915 Wurlitzer Style #153 Military Band Organ, which is the oldest of its kind in existence, and possibly the prototype for more than 140 organs built between 1915 and 1936. (Info from Kennywood's Wiki Page). I'm very happy to say this is one attraction which is still beautifully maintained and shows nothing but normal operating wear. About this point we stopped for lunch and then circled around to inspect a new addition to Kennywood, a Bier Garten. Their prices aren't bad as $6 for nearly a pint but they confine you in one area, which is maintained by Kennywood's Police force. Your ID'd and wrist-banded then allowed to enter a rather small area which is completely fenced in, allowing only that single access point. While this was fine, it was also annoying as you had to leave then wait in line to re-enter if you made a bathroom trip. They also only allow two drinks, per guest, per day which in my opinion seems a litle stingy. Having a cold beer or two with lunch and another after dinner doesn't seem to much to ask, plus it's not like most people go to a park to get drunk (not at those prices). This is an experiment of the park, selling beer. They aren't sure if their going to raise this limit or keep it for next season, nor are they sure if they will continue selling beer at all. One other note about the Bier Garten, it isn't open everyday and when it doesn't open until 2pm. 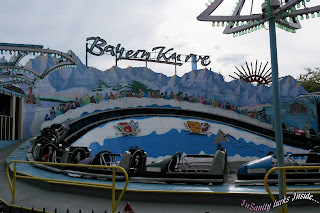 Since we were on that side of the park, we next headed to another favorite the Bayern Kurve. An Anton Schwarzkopf design, this ride has been popular at Kennywood for ages. This is the third one they've owned since 1968. A "bobsled" style flat ride, Kurve speeds around a circular track and when it reaches top speed a loud horn is sounded. It's simple, fun and a guest favorite for generations. By this point it was beginning to get later in the day, line times had only increased. 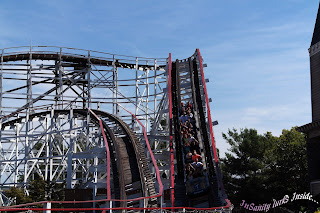 Racer and Jackrabbit had huge lines, longer then any of us can remember seeing in a few years. While we love these coasters, we didn't have the time on our limited visit to wait in line for them. So we had to skip over our childhood friends and move on to inspect another rumor we'd heard about regarding another of the parks classic attractions. We headed towards the end and "Garfields Nightmare" which began it's life as "The Old Mill". This is what we had to inspect for alarming rumors that the park is letting the ride fall apart in order to drop the 'Garfield' sponsorship and possibly remove the ride. While getting rid of Garfield wouldn't bother anyone, no one wants to see this classic boat ride suffer or be removed. 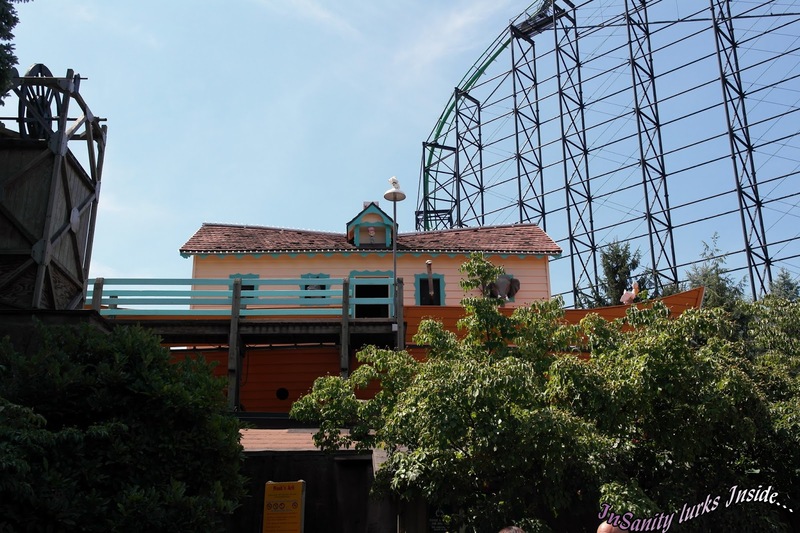 Built in 1901, this is the oldest attraction at Kennywood Park. 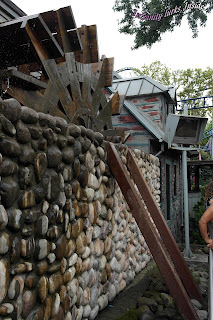 It was originally themed as an old mill and featured skeletons and a haunted theme. Now it plays host to 3D effects, a ton of neon paint and a brightly glowing Garfield's. We found it in deplorable condition and I don't say that lightly. To begin, 90% of the effects did not work. Almost nothing was moving but you could clearly here the air powered effects trying in vain to continue operations. As for the ride itself, we found this worrisome because it seemed like many of the pumps which keep the water flowing and boats moving to be either slow or not working at all. Many times we (and those in front of and behind us) had to reach out and help our boats along using the wooden beams enclosing the ride or they simply would have been stuck. Many of the boats seem in bad repair and have slight leaks, after we exited we saw employees rush to pump out a sinking boat. This concerns me greatly, Old Mill is the biggest piece of history Kennywood Park has. Old Mill is a recognized historical landmark. It was bad enough when they removed the 'Turnpike' attraction but to see this suffering it almost painful. This ride has so much history, generations worth. Not just a few generations either, entire families worth have ridden this simple but lovely boat ride. I sincerely hope the reasons for this are only to remove the 'Garfield' theme and not some ill planned attempt to remove the attraction as a whole. Overall we left with two different feelings. Happiness at the many roller coasters, both classic and new that Kennywood has to offer and pleased at how nice they've been maintained. Sadness at the state we found many of the flat rides in, especially Garfield's Nightmare/Old Mill and Noah's Ark. Kennywood is an excellent park and always has been but lately I can't help but be sad at the sign of decay. People love Kennywood, I love Kennywood. To see things slowly rolling downhill is akin to watching a loved one suffer an illness. Please Kennywood, don't do this to us, your loyal fans. Make the maintenance of everything a priority, not just your roller coasters. Don't allow a new company to let you loose decades of tradition. Please, fix these problems so that we can go back to boasting loudly to all who will listen that we have one of the best hidden gem amusement parks in the United States.